Jim Bruner has provided civic and professional leadership to greater Phoenix for more than 40 years. Past activities include campaign and board chairman of the Valley of the Sun United Way, chairman of the Scottsdale Healthcare Systems board, president of the Scottsdale Boys and Girls Club, and founding board member of both the Greater Phoenix Economic Council and the Scottsdale Cultural Council. He has also served as chairman of the finance committee for the Diocese of Phoenix and chairman of the Arizona State Retirement System. Mr. Bruner is currently a member of the board of trustees of Drake University in Des Moines, Iowa and the Arizona Sports Foundation board. In addition he served two terms on both the Scottsdale City Council and the Maricopa County Board of Supervisors. He is executive vice president and director community banking and trust at the Wealth Management Division of Mutual of Omaha Bank. José Cárdenas, senior vice president and general counsel of Arizona State University, joined the Board of Trustees in March 2005. Mr. Cárdenas serves on a number of other boards, including Southwest Gas Corporation, The Center for the Future of Arizona, Meridian Bank, Xico, Inc., the Translational Genomics Research Institute (TGen), and the ASU Foundation. Paul Critchfield, nephew of Virginia G. Piper, devoted 30 years to corporate human relations and development with companies including Motorola, Ramada Inns, Disneyland, Scottsdale Healthcare, and the Boys and Girls Clubs of Scottsdale. In 1999 he retired as executive director of the Foundation of the Boys and Girls Clubs of Scottsdale to begin his lifetime administrative trustee work with the Virginia G. Piper Charitable Trust. Born in Chicago, Mr. Critchfield graduated from the University of Tampa and has lived in Arizona for more than four decades. Art DeCabooter has held leadership roles in numerous clubs and organizations, including the Scottsdale Area Chamber of Commerce, Scottsdale Rotary Club, the Scottsdale Charros, Arizona Town Hall, Community Celebrating Diversity, and Scottsdale Historymakers. At the national level, Dr. DeCabooter is a member of the board of directors of the National Catholic Educational Association, the Commissions and Councils of Catholic Education, and the National Association of Boards on which he is a past chair. He is president emeritus of Scottsdale Community College (served from 1978 to 2008 as president) and holds degrees from St. Gregory’s Junior College, St. John’s University, and Indiana University. Laura Grafman, a very close friend of Virginia Piper’s, has been a Phoenix resident for over 35 years. She is executive vice president of Scottsdale Healthcare Foundation. Her professional activities include membership in the Association of Fundraising Professionals from which she received the Fundraising Executive of the Year Award and also served on its board of directors. Laura is also a member of the Association for Healthcare Philanthropy. She serves on the boards of the Scottsdale Center for the Performing Arts, Scottsdale Cultural Council, the Board of Overseers of the Phoenix Symphony, and is a founding member of Friends of the Foundation for Senior Living. A native of Chicago, Mrs. Grafman attended Grinnell College and the School of the Art Institute of Chicago. Sharon Harper is president and chief executive officer of The Plaza Companies, one of Arizona’s premier real estate firms specializing in medical facilities, luxury senior living, and technology and bioscience facilities. Her strategic leadership activities include service as past chairman of the Greater Phoenix Economic Council, executive board member and officer of Greater Phoenix Leadership, past chairman of the board of trustees of Brophy College Preparatory, the Creighton University National Alumni Board, the Arizona Community Foundation board, chairman of the Banner Health Foundation board, and Board of Fellows for Thunderbird School of Global Management. A native of Mankato, Minnesota, Ms. Harper graduated from Creighton University in Omaha, Nebraska. Judy served as the first president and CEO of Piper Trust, and in 2012 she was appointed a Trustee. Before joining the Trust she was president of Goucher College in Baltimore. An American historian by training, she was also on the faculty and in the administration at Southern Methodist University. She is currently chair of the board of Encore.org and has served on the boards of the Council on Foundations, Arizona Grantmakers Forum, Greater Phoenix Leadership and Baltimore Community Foundation. She was a presidential appointee to the Board of Visitors of the United States Naval Academy. Dr. Mohraz earned her PhD from the University of Illinois at Urbana-Champaign and her BA and MA from Baylor University. Steve Zabilski has served as the Society of St. Vincent de Paul’s executive director since 1997. Prior positions include senior vice president with Transamerica Insurance Group and audit manager for the accounting firm KPMG LLC. Mr. Zabilski is a member of the board of trustees for Great Hearts Academies, the finance committee for the Catholic Community Foundation, and the Human Services Campus, LLC. He is a member of the Order of the Holy Sepulcher, the Order of Malta and Legatus, the American Institute of Certified Public Accountants, Phoenix Community Alliance, and the FBI Citizen’s Academy. Mr. Zabilski is a past president of the board of trustees of Ville de Marie Academy and has served on a number of school and parish advisory councils. Jeffrey L. Coles is Professor of Finance and the David Eccles Chair at the David Eccles School of Business, University of Utah. Previously he has held teaching positions at the University of Rochester, Stanford University, and Arizona State University. Dr. Coles has advised both industry and government. Scientific consulting clients and partners include Institutional Shareholder Services, Utah Power and Light, the Utah State Department of Community Affairs, Arizona Public Service, the U. S. Department of Energy, The Directors’ Council, PricewaterhouseCoopers, Pinnacle West Capital, Central Newspapers, Inc., Honeywell, Gradient Analytics, and Verus Research. He served as Co-Chief Scientist of Incentive Lab and serves as an expert in legal actions for Stinson Morrison Hecker LLP, Werner & Ayers, LLP, and Gibbs & Bruns, LLP. Dr. Coles has served or also serves as a director on the boards of the Financial Management Association and the Western Finance Association; on the steering committee of the Arizona Chapter of the National Association of Corporate Directors; on the investment committees of the ASU Foundation and ASU; on the awards committee of the Financial Executives Institute; and has been elected president of the Financial Management Association. 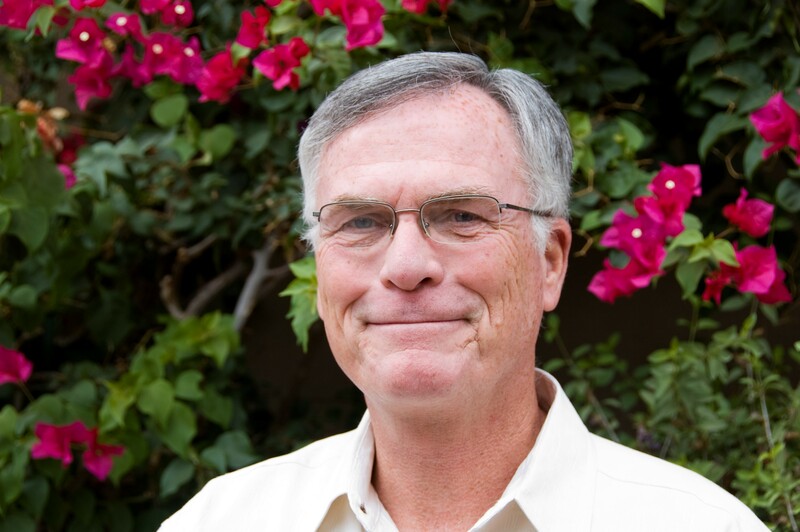 Dr. Coles earned his doctorate degree from Stanford University and a bachelor’s degree from Pomona College. Jacque Millard joined Intermountain Healthcare in 1993. As its vice president and chief investment officer, she is responsible for investment portfolio management, cash management for all Intermountain entities, and for oversight of Intermountain’s external investment managers. Previously, she spent five years with Blue Cross and Blue Shield of Utah as manager of cost, budgets, and investments and worked at Workers Compensation Fund of Utah as an investment manager. Ms. Millard’s professional affiliations include the Utah Treasury Management Association, Association for Financial Professionals, Association for Investment Management & Research, and the Salt Lake Society of Financial Analysts. She was a member of the Westminster College endowment investment committee for twenty years, the U.S. Bank of Utah Advisory Board, and the board of directors for the Health Care Credit Union. She currently serves on the investment committee for Dignity Health (formerly Catholic Healthcare West). Ms. Millard is a Certified Cash Manager and Chartered Financial Analyst. She earned her bachelor’s degree in finance from Weber State University and master’s degree from Westminster College. Kent Misener is chief investment officer with Desert Mutual Benefit Administrators (DMBA), managing over $6 billion in assets for various entities associated with the Church of Jesus Christ of Latter-day Saints. He is also the chief investment officer of Crossroads Investment Advisors LLC, a boutique investment advisory firm. 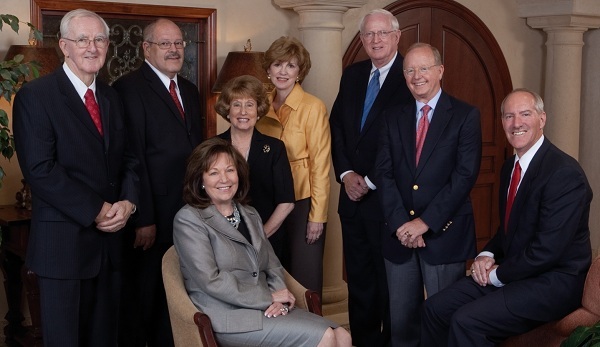 Mr. Misener serves on several corporate boards and committees including the corporate asset and benefits finance investment committees for Intermountain Healthcare, the investment committee for the Community Foundation of Utah, and the board of the CUSO of Deseret First Credit Union. He has served on the boards of ARKONA Inc, as chair of Deseret First Credit Union and on the investment committee of the Utah State Insurance and Reclamation Office. He has appeared as an expert witness concerning market trends and investment returns in state and federal trials. He has also been a guest speaker at national conferences concerning global and national equity markets and has lectured on the benefits of both active and passive investing. Mr. Misener graduated from Utah State University with a Bachelor of Science degree in economics and finance; he obtained his master’s degree from Utah State University. Frank Brady spent his entire career with Ernst & Young (formerly Ernst & Ernst). He retired from the Phoenix office in 2002. Mr. Brady served on the Arizona State Board of Accountancy nearly 18 years. He was appointed by the Governor to two, five-year terms and served as board president in 1997-1998 and again in 2004-2005. For more than seven years he was a member of the Accounting and Auditing Standards Committee, which he chaired in 1986. 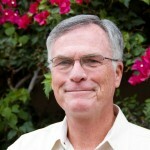 In addition to his work with the State Board, Mr. Brady has served on the board of the Arizona Society of CPA’s. His civic activities have included: Catholic Community Foundation board chairman, Boys and Girls Clubs of Metropolitan Phoenix board member, and Arizona College Scholarship Foundation board treasurer. Mr. Brady graduated from the University of Chicago.